Topshop is a multinational fashion retailer of clothing, shoes, make-up and accessories founded in 1964. Any fashion lover knows about the reputed British brand. Topshop have more than 500 shops worldwide, and 300 of them can be found in the UK. Topshop foster new design talent and is the only high street brand that is featured at London Fashion Week. 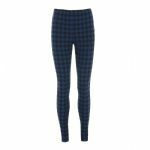 With our heavily discounted Ex Topshop clothes here at FD&K, you can be sure you will be fashionable with the British style the brand is known for all over the world. The quality and stylish Ex Topshop products and ex chainstore dresses you can find in our online shop reflect some of the most recent trends and the very best of London’s women street style. We are an off-price online fashion retailer offering ladies', men's and children's ex high street clothing lines and accessories. We purchase brand new, branded product lines which were once found in physical stores on the high street but which the brands did not keep for various reasons: cancelled orders from high street department stores, factory overmakes, surplus stock, ends of lines, etc. Indeed, big brands often have to make room for new stock in their stores in order to keep up with the fast-moving women’s fashion trends. We purchase Ex Topshop lines which did not make the cut and simply pass the savings on to you. Here at FD&K, you can find fabulous ex catalogue dresses at great prices. Our Ex Topshop and ex high street items are brand new, unused and unworn and we even go as far as quality checking them before making them available for sale for our customers. 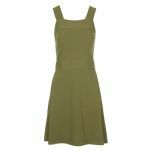 We sell ex chainstore clothing that is on trend, our items are authentic and our ex-catalogue stock is sourced from established and trustworthy UK-based suppliers with whom we have developed strong relationships over the years. Our ex branded clothing stock is exclusive, limited on any product line and when it’s gone, it’s gone.